Remember the first time that you heard Josh Turner? You must have been in awe of that baritone. Here’s a guy who can sing deeper than the rest without sacrificing tone and nuance. Turner’s had plenty of great singles, but many of them were merely good songs that his deep voice would lend distinction to. On “Time is Love”, that voice never surfaces. Turner sings in a register that would be normal for anyone else but sounds strangely high coming from him. It’s not like “Your Man” was modern-day Kristofferson, but the temerity of Turner’s material really shows when it’s not dripping with his signature sound. Why he chose to remove himself from his own record is a mystery, but whatever the reason, “Time is Love” is the first big disappointment of 2012. I wish I could call this my first big disappointment of 2011, but I’ve already been too disillusioned with Turner’s recent material to have had high expectations of this (I’ll reserve that title for Miranda Lambert’s latest). My issue was just that I think this is a boring song. I hadn’t formed any particular opinion on the vocal, but I’ll probably listen to this again later and look into it then. I like the bones of this song. It has Lady Antebellum written all over it – in a good way. They’d give it the appropriate texture and nuance. But I can’t figure out why Turner would choose this for himself. I have to agree. This is disappointing. The last JT single I liked was “Why Don’t We Just Dance”. ^Same here. “Why Don’t We Just Dance” was good, but I haven’t liked any of his singles since. 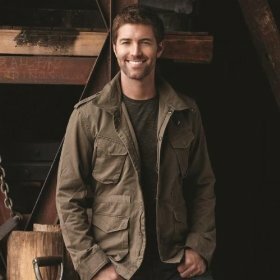 …someone had to fill country’s shoes of bland mediocrity that kenny chesney left lying around empty on his way out looking for booze and grace potter – not surprisingly they fit josh turner perfectly. if he and god really were a team, he’d warn him about such boring material. perhaps, not such a boring song after all, if it leads to such deep spiritual thinking. …and if – god forbid – tim tebow decides to go country one day, a cover of trisha’s “down on my knees” might be the perfect start into that. this year’s nfl-playoffs are more country than most things coming out of nashville these days – including those titans. Tom, you crack me up! But I agree with Ben, it’s just a boring song. I didn’t even pay that much attention to the vocals I was so bored. His best single by far was Why Don’t We Just Dance. Hasn’t released anything good since.